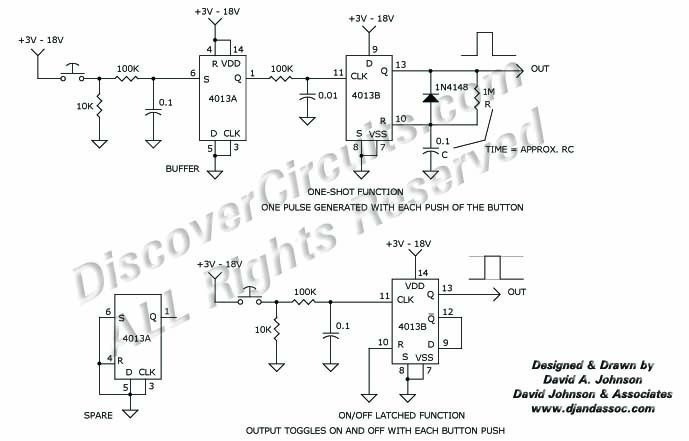 Circuit: PUSHBUTTON ONESHOT AND LATCH/b> __ Circuit designed by David A. Johnson, P.E. This circuit uses a single IC to convert a noisy pushbutton switch signal into a clean pulse or a sustained push on-push off signal. It can operate from 3v to 18v.